Last week, changes were approved by the Bulgarian government to the statute of the national refugee agency of Bulgaria. Basically, the changes will restrict the movement of asylum seekers in the open centers of the State Agency for Refugees (SAR) who had broke the „rules“. They will have to stay in detention spaces that are installed within the ‚open camps‘. 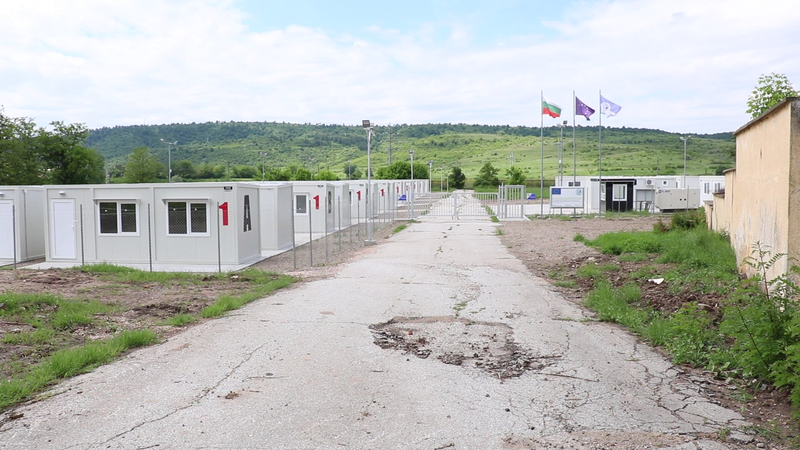 Another change, which was approved, was the implementation of limited public areas for asylum seekers in Bulgaria. In fact this is a residential obligation which e.g. could span special areas from the open camps to the city or in the space of the municipality. People who are being caught outside the allowed areas, will be sent to the closed space within the ‚open centers‘. Bordermonitoring Bulgaria (BMB) warns that such a regulation could easily lead to a despotism regime within the camps. In the open camp of Harmanli such a closed space was already created since weeks. The head of SAR, Petya Parvanova, and Rumyana Bachvarova, the interior minister, announced that these changes were considered after a mass brawl erupted in the open camp of Harmanli – in fact such changes were planned for a long time. In addition a curfew was immediately announced after the incident in Harmanli. Some days ago, the premier Boyko Borisov (GERB) announced that he won’t take any asylum seekers or refugees back from other European countries in the future. However, this could be a tactical move of Borisov before the presidential elections in November 2016. In the last weeks the numbers of migrants who came to Bulgaria rose again. Currently, more than 1000 asylum seekers are accommodated in Harmanli which has an accommodation capacity of 3000 people. BMB Bulgaria is concerned about the approved changes. For people with different backgrounds who have to live in a big amount number in camps, without knowing what will happen to them, the social pressure won’t decrease. This is the reason why social conflicts are preprogrammed in the future and isolation will not be a solution for people who came to Europe, for seeking shelter. Update: On the the 4th of September 2016, a demonstration against the refugee camp of Harmanli was staged by right wing extremists, as the Patriotic Front, Ataka and VMRO. It was supported, as well, by the Bulgarian Socialist Party (BSP). Dieser Beitrag wurde unter Allgemein abgelegt und mit Boyko Borisov, Detention, Harmanli, Petya Parvanova, Rumyana Bachvarova, SAR verschlagwortet. Setze ein Lesezeichen auf den Permalink.